Help MAPS make a difference in an animal’s life. 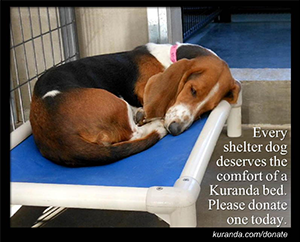 Your generous donation will help us place homeless pets into new forever homes. Each animal will receive vet care; probably for the first time in their lives. They will be microchipped to make sure they find their way back home. And they will be spayed or neutered to help reduce animal overpopulation. But most importantly, they will find a permanent, loving home ... something all pets deserve. Donations are tax-deductible. Thank you. Thank You to Everyone that has Donated! Thank you Carter & Corbin! Forward Bank CMMA check. Thank you donors! Thank you Rebecca & family! Mr G's Kelly's Kause event raised $2,000! Madisyn dropped off food for our kitties! Thank you! Hailey's proceeds from her lemonade stand for our pets! Buy-a-Bone 2017 raised $2,675 to help our animals! Trevyn with his birthday gifts for our animals! FFB Charitable Money Market donation check. Thank you donors! Help needed, generous people delivered! Forward Financial Bank Charitable Money Market donation check. Thank you donors! Gavin's birthday gifts for our animals! Addisyn's Birthday Donations ... and Ruby the cat. Hub City Ice Cream & MHS National Honor Society. $1,325 raised! Thank you Dental Crafters of Marshfield! Arby's of Marshfield hosted MAPS day and raised $429.67! Mason's Birthday Gifts ... Second year in a row! Emma sold gourds to raise money to help animals! 100 items to celebrate 100 years of Girl Scouting. Recent news regarding puppies found in trash can. Click on the link above for more information. Please consider a donation to help with their care. Thank you! No fees. 100% of your donation will be gifted to help animals! Your Community, Your Support, Your Choice. Thrivent Choice allows eligible members to designate where charitable funds go each year. MAPS is an enrolled charity. Designate YOUR FREE Thrivent Choice Dollars® to MAPS to help our animals! Thrivent Action Teams starts with an idea and Thrivent will provide $250 'seed money' to get you started. Apply for a one-time fundraiser such as a supply drive for our animals! Designate MAPS as your favorite charity and FFB will make a contribution on your behalf. Designate MAPS as your charity and Amazon will donate 0.5% of the price of your eligible AmazonSmile purchases to MAPS. Support MAPS by clicking the above link and start shopping! Do you collect Fresh Step Paw Points? Help us earn FREE litter for our kitties! ADDED BONUS: Every time you enter our unique code SHELTERBONUS514, we BOTH receive 250 bonus Paw Points®. It's that easy! GoodSearch is a search engine that donates 50% of its revenue, about a penny per search, to listed charities. Designate MAPS as your selected charity and all searches benefit MAPS. You can see how much money has been raised on MAPS behalf! GoodShop is an online shopping mall. The company has affiliations with more than 3,000 online retailers. Designate MAPS as your selected charity and a percentage of each purchase, as indicated on the GoodShop site, is donated to MAPS. Sign up and start shopping!